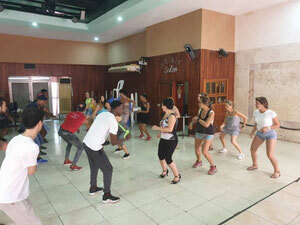 We consider a group if you come with a minimum of 5 students who have approximately the same level in the requested dance (beginner, intermediate or advanced). 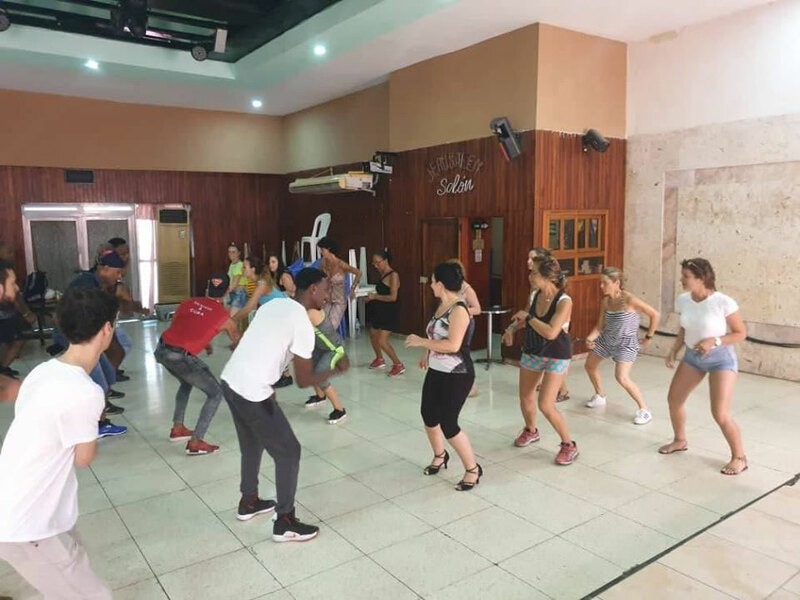 In this case, the price is 12 CUC per person per hour and the group can rely on a couple of main teachers and an assisting instructor for each student who does not have a dance partner. For optimal progress, we recommend a course of 10 hours (e.g. 2 hours a day for 5 days) for a reduced price of 100 CUC per course and person. This offer is valid for all dances taught in our school. In order to guarantee the requested time for your lessons, we would appreciate if you could send us the online request form for the group dance classes in advance. Please fill in this form for group dance classes and submit your request. We will normally reply within 24 hours. PLEASE NOTE: Group classes are only possible for a minimum of 5 students with similar level.